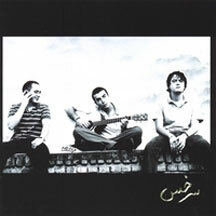 “Mordad 85” is the second album from SARAKHS. It was recorded live in "Aftab e Alamtab" studio and released on July 7th 2007. The first album “Az Khak” was recorded in BAM studio during 1999-2000 but never released officially. Single tracks like "Mordab" and "Vasvase" are well known from this album. "Az Khak" is currently being remastered and will be released for the first time in late 2007.